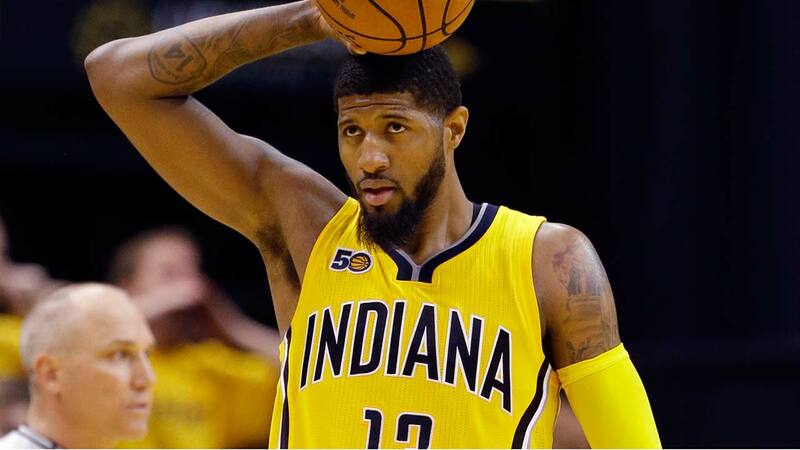 The Indiana Pacers have agreed to trade George to the Oklahoma City Thunder for Victor Oladipo and Domantas Sabonis, said two people with knowledge of the details. The stunning deal gives Westbrook, the newly crowned NBA MVP, some serious help next season. Teams came together on the trade Friday just hours before the free agent market was set to open, said the people who spoke to The Associated Press on condition of anonymity because the trade was not official. George could have been in line for the so-called "Supermax" extension - a five-year pact worth about $205 million - with Indiana this summer, had he been voted onto the All-NBA team this offseason. He wasn't, though if he is an All-NBA player next season - which is certainly possible with the numbers he could post playing alongside Westbrook - George would be eligible for a huge payday again. And the irony there is that if he is set on joining the Los Angeles Lakers in 2018, as has been reported for some time, George would miss out on that massive extra windfall. George broke his left leg in a gruesome scene while playing with USA Basketball in Las Vegas in 2014, which prompted fears he would never be the same. Those fears were most unfounded, since George has better than ever in the last two seasons - averaging 23.1 points and 7.0 rebounds in 2015-16, and following that up with averages of 23.7 points and 6.6 rebounds this past season. Indiana will be Oladipo's third team, after starting his career in Orlando and spending last season in Oklahoma City. He's averaged 15.9 points per game in his four pro seasons, on 43 percent shooting. AP Basketball Writer Tim Reynolds contributed.